From vinyl records and audio cassette tapes to consoles and kicks, consumers are clamoring to get their retro fix. Anyone needing validation of this trend need look no further than Nintendo, a company that managed to sell 1.5 million NES Classic Edition consoles since launching it on November 10. Sales would no doubt have been much higher had the company not severely underestimated demand. Indeed, here we sit nearly three months in and you still can’t find a system in stock without a four-leaf clover, a rabbit’s foot or whatever other good luck charm you subscribe to... or a fistful of cash on eBay. Nintendo’s success has demonstrated how hot the retro gaming scene is, a fact that enterprising companies like RetroBlox are ready to capitalize on. RetroBlox recently announced a modular retro game console by the same name. The idea is to provide a modern, unified platform for digital retro gaming without sacrificing the two key elements that made classic gaming so great: original software and hardware peripherals. 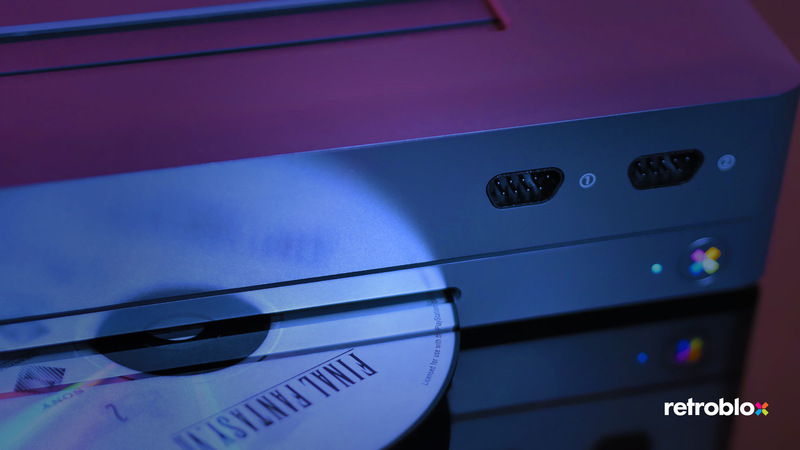 The base RetroBlox will ship with an on-board CD/DVD optical drive made by Hitachi LG Data Services, allowing users to play disc-based games originally designed for systems like the PlayStation, Sega CD and TurboGrafx-CD. Taking it a step further, gamers can purchase optional modular interfaces called “Element Modules” that’ll allow them to play original game cartridges and even use original peripherals. The company says its system will even be able to cope with carts that used specialized chips (think Nintendo’s Super FX chip and games like Stunt Race FX). Best yet, thanks to the machine’s expansion card slot, you’ll be able to rip games and add them to your digital collection. Other noteworthy features include the ability to stream gameplay live via Twitch and YouTube, native upscaling to full 1080p HD (or if you prefer, a suite of virtual display options designed to look more like the older televisions you used to play on) and the ability to obtain near lag-free controller input response. If you’re like me, this is all sounding a bit too good to be true which could very well be the case. RetroBlox, a California-based firm comprised of video game development veterans, is planning to launch a crowdfunding campaign this April to raise money for the system and promises to share more details between now and then. What cartridges will it be compatible with? How much will the system and modular expansion parts command? Are there any legal hurdles to consider? With any luck, we'll find out soon enough and hopefully, the RetroBlox becomes reality.